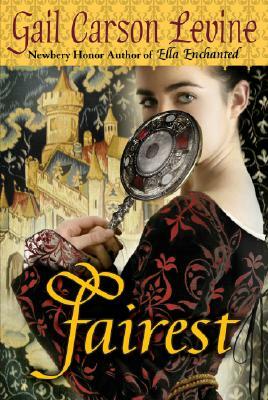 In the kingdom of Ayortha, who is the fairest of them all? Certainly not Aza. She is thoroughly convinced that she is ugly. What she may lack in looks, though, she makes up for with a kind heart, and with something no one else has-a magical voice. Her vocal talents captivate all who hear them, and in Ontio Castle they attract the attention of a handsome prince - and a dangerous new queen. In this masterful novel filled with humour, adventure, romance, and song, Newbery Honor author Gail Carson Levine invites you to join Aza as she discovers how exquisite she truly is.